GREEN CAN SAVE YOU GREEN! “There’s often an assumption—even fear—that going green will cost you money,” says Professor Rachel Dodds, a sustainability expert who teach­es in Ryerson University’s Hospitality and Tour­ism Management program in Toronto. “Reducing waste and encouraging reuse can save dollars. There’s a need to assuage that fear that grips so many business owners and operators.” An exam­ple from The Convention Industry Council: reusing name-tag badges for 1,300 conference attendees can save a meeting planner $1,200. Keep costly banners free of dates and sponsor logos so they can be reused at the next conference. Treat conference attendees to zero-emission city tours. 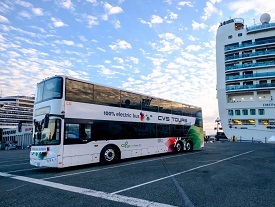 CVS Tours in Victoria uses electric double decker EV550 GreenPower buses. Benefits: no emissions and a quiet ride. 5. To give back to the community. Plan meetings in a central location or near public transportation. Ensure gifts or handouts are environmentally friendly and useful. Publicize the fact that your meetings are green, and be prepared to share your learning. Provide reports or other materials on USB drives and encourage the use of personal laptops. Only print what is necessary. Use an LCD projector when necessary, being mindful of energy consumption. Reuse or recycle name tags, binders, pens and other materials. Add ‘green’ responsibility statements to your constitution’s executive duties. 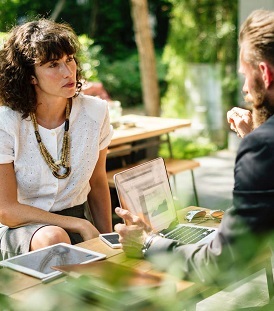 Prepare a set of questions to ask suppliers to determine the extent to which they are able to service your meetings in a way that meets your green objectives.